53-year old Andreucci moves on. Eleven times national Italian CIR champion Paolo Andreucci will not contest his country’s premier series this year. His precise programme this year, however, is still undecided. Luca Rossetti has been signed to drive a C3R5 for Citroen Italy, the first appearance of this marque for seven years in this series. Many plans have been changed by the decision that the Italian Junior series shall be supported by Ford, not Peugeot. Onkar Rai’s Skoda Fabia R5 took the lead on the final stage of the private stage Kenyan championship Nakuru Rally. Kenyan championship leader, Carl Tundo, dropped from the lead to second place, 4.8 seconds behind, with fuel pump trouble on his Evo X. 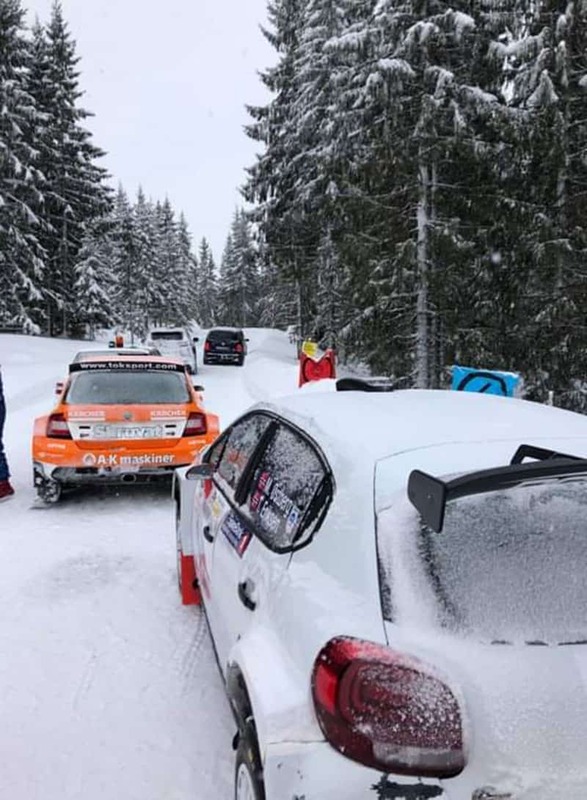 The Hadeland Rally – second Norwegian championship round – saw course openers Henning Solberg (Skoda) and Mads Ostberg (on his first outing with a Citroen C3) struggling as they drove over fresh snow. The winner was the VW of Ole Christian Veiby, who finished 18 seconds in front of Ostberg. Finally the curious impasse between WRC Promoter and the organisers of Rally Estonia has been explained. This was evidenced by comments by the WRC Promoter who stated that negotiations with Estonian authorities were simply at a very early point with no immediate plans for a Candidate WRC Rally. This was followed by an official statement that the Shell Helix Rally Estonia would organise an “official test race” on 12-14 July. 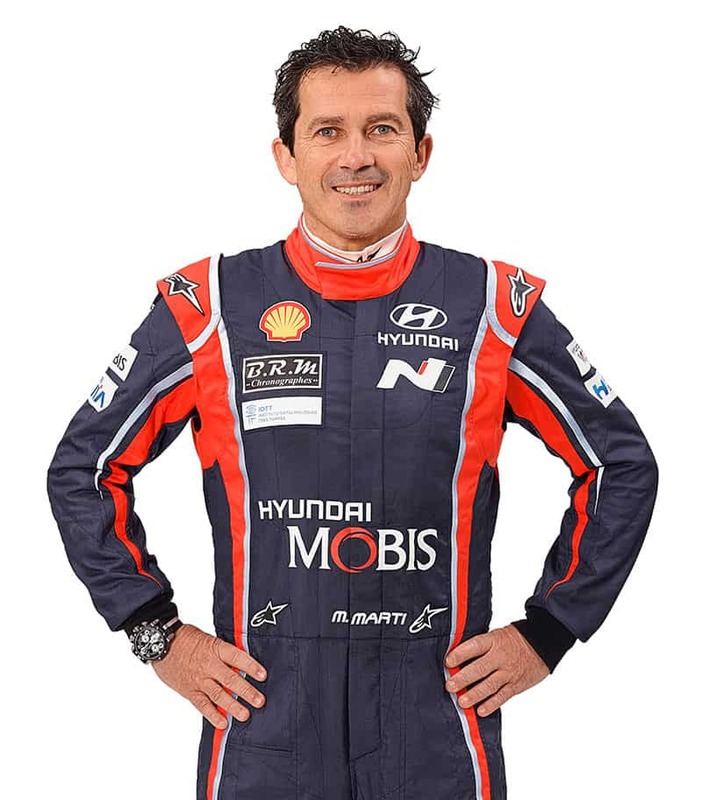 Busy season this year for 52-year old Spanish co-driver Marc Marti, internationally best known as former WRC co-driver for Carlos Sainz and Dani Sordo. In 2018 Marti was the co-driver for Mexican driver Ricardo Trivino when they became FIA Nacam regional champions. In 2019 he plans to compete alongside Nil Solans in the WRC2 category and will also compete on other events with reigning Chilean champion driver Pedro Heller. A complicated programme of events is planned for Heller, starting with the British championship Cambrian Rally and the Portuguese Serras de Fafe Rally. A competition lifeline has been offered to former Hyundai Motorsport team member, 31-year old Hayden Paddon, with the offer of drives on the newly revived Global Rallycross Europe series. This series uses purpose designed spaceframe Pantera RX6 cars, which are fitted with 537bhp Ecoboost engines featured in Ford Mustang cars. After arriving from the FIA Hall of Fame celebrations at Hyundai’s pre-Swedish test location, nine times world rally champion, Sebastien Loeb, rolled the team’s i20 WRC. This required the test team to work overnight in order for testing to resume the next day.